Muffin, muffin who’s got a muffin? Oh, wait that’s not how the saying goes. 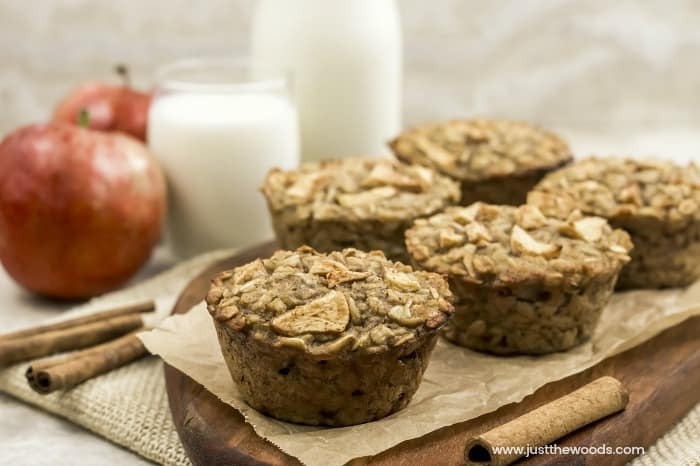 But since we are talking about muffins, how about delicious and healthy apple oatmeal muffins. You know that warm and welcoming aroma of muffins baking in the oven? It doesn’t have to come with guilt or loaded with sugar and butter. As we get older we start to put a little more interest in making healthier choices for ourselves and our families. Since I lost 50 lbs by exercising and clean eating I am constantly reading food labels and trying my best to keep things healthy around here. 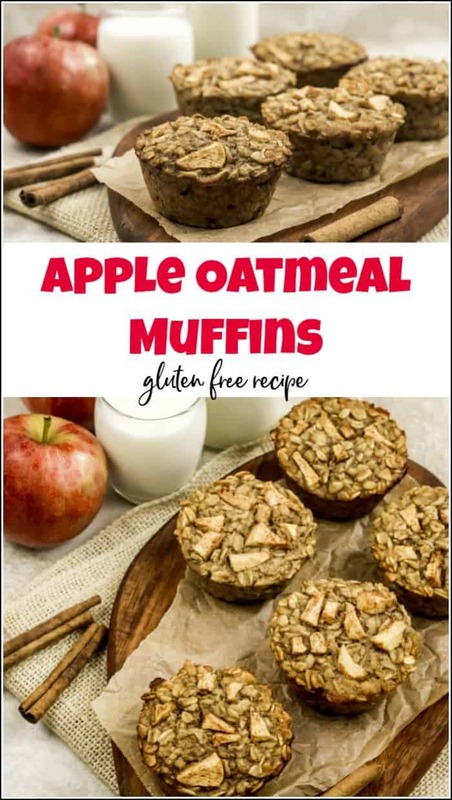 (You can read about my weight loss journey here: Clean eating) I find myself using a lot of cinnamon and gluten-free oats so these apple cinnamon oatmeal muffins are perfect! 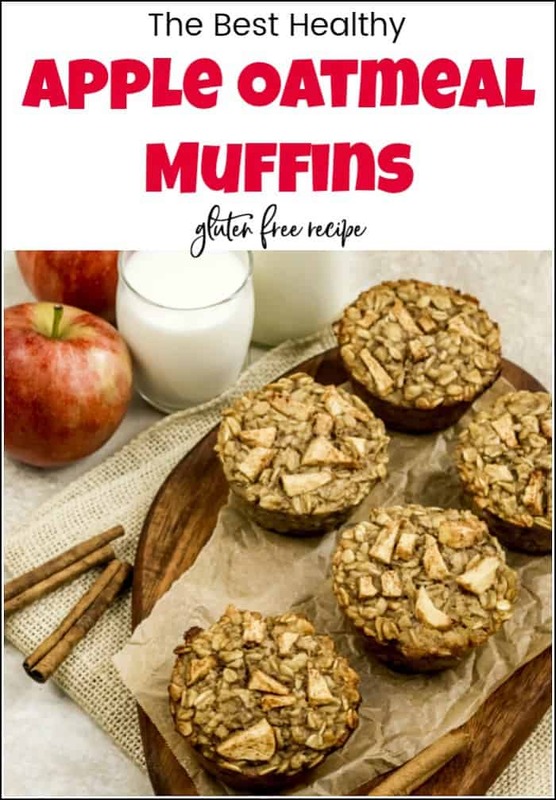 Disclosure: This cinnamon apple oatmeal muffins recipe contains affiliate links for your convenience. Click here for my full disclosure policy. I mention it all the time, so you know by now that I have a huge sweet tooth I always tend to have snacks on hand. But I am also a pretty strict eater as far as eating healthy. 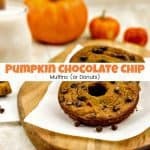 At any given time I have a stash of healthy muffins or berry donuts in the freezer or chocolate energy bites in the fridge I always enjoy my sweet treats without the added sugar. 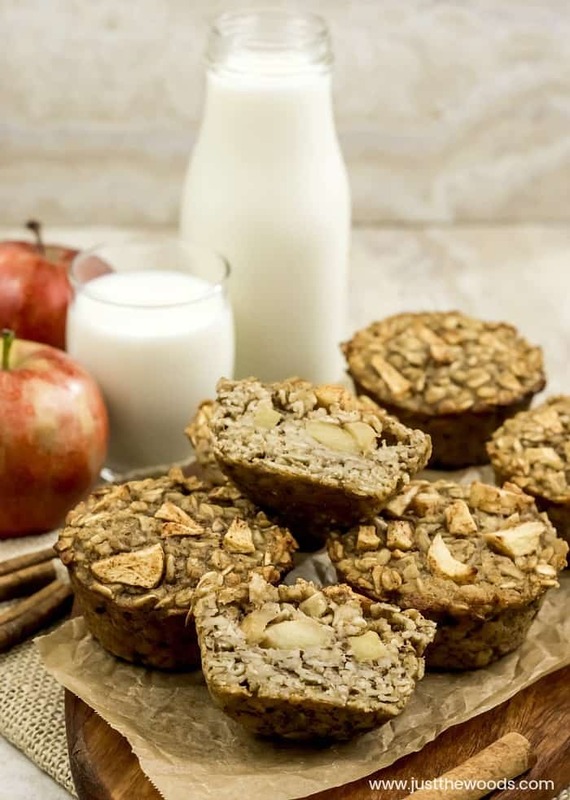 This healthy apple muffins recipe makes the perfect sweet snack when you just need a little something. 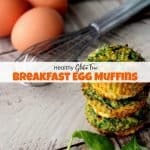 They can also be enjoyed as healthy breakfast muffins for when you just don’t have the time to prepare something in the morning. Plus the kids love them too, which is an added bonus. 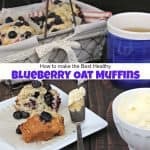 I confess that sometimes I want to keep all of these healthy apply muffins to myself and not share with the kids. Is that so bad? Toss your cut up apples with a ½ teaspoon of cinnamon and set aside. Mash the bananas into a smooth pulp. 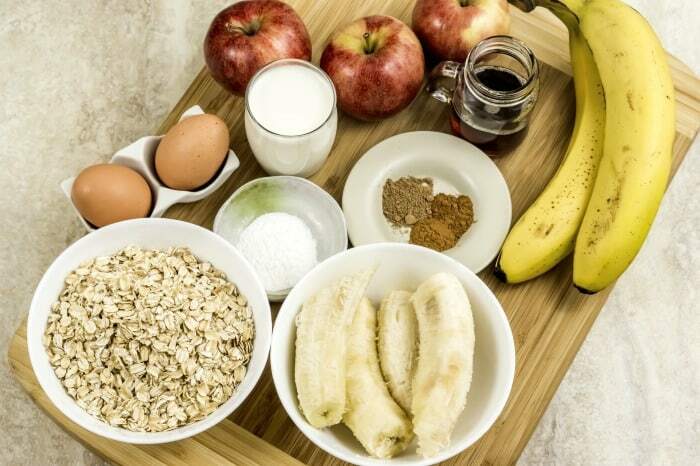 In a large bowl combine the mashed bananas, 2 eggs, 1/4 cup almond milk, and 1/4 cup maple syrup, 1 tsp cinnamon, and 1/2 tsp nutmeg. 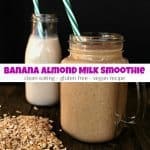 You can use almond milk from the box or homemade, I like to stick with organic and unsweetened. This is how I make my own almond milk. Whisk well into a smooth batter. 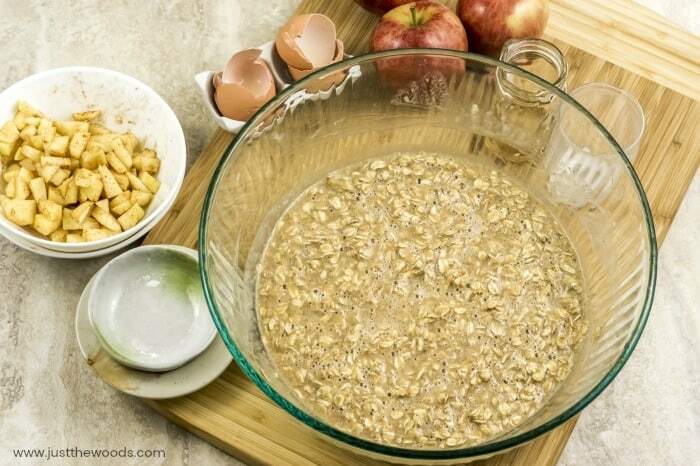 Add the 2 cups of oats and 1 tsp baking powder. Gently mix it all together. Let the batter sit for 5 minutes. This allows the oats to soak up the liquid. 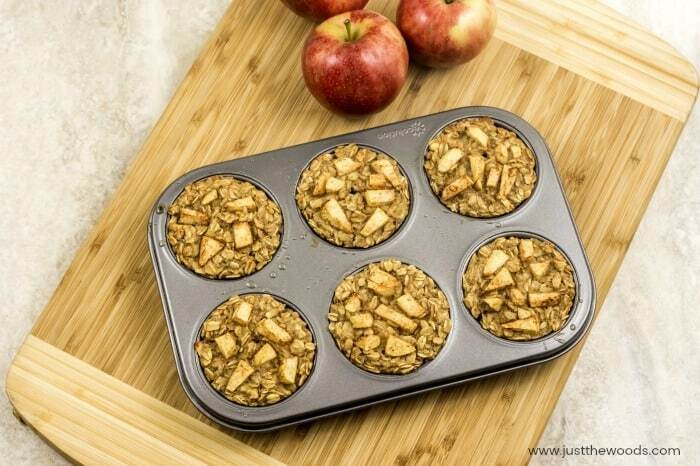 Pour approximately 2 tablespoons of your apple oatmeal muffin batter into each muffin pan. 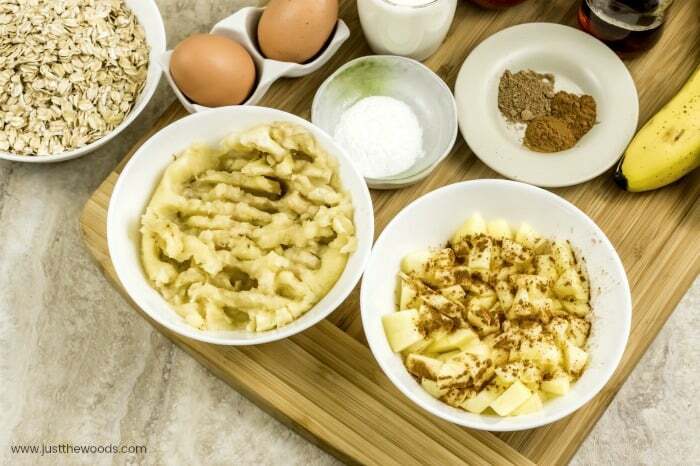 Top with 1 teaspoon of cinnamon coated apples followed by another 2 tablespoons of muffin batter, then another teaspoon of apples on top. 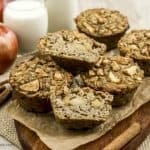 Bake your apple cinnamon healthy breakfast muffins for 20 minutes or until a toothpick inserted in the center comes out clean. Let the muffins cool in the pan for approximately 10 minutes. Gently take the muffins from the pan and let them cool completely on a wire rack. 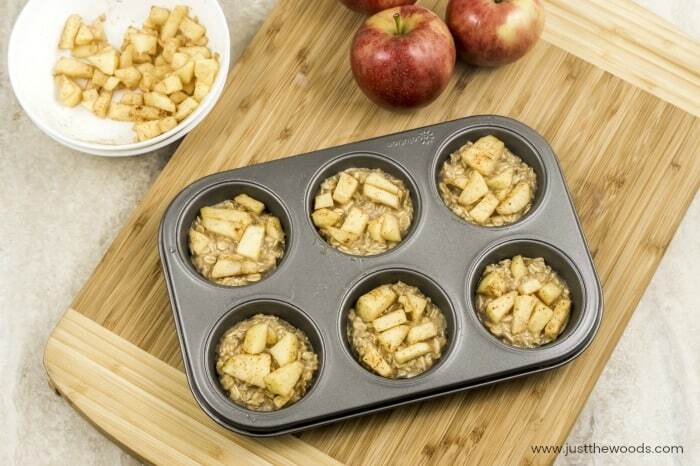 These delicious cinnamon apple oatmeal muffins are best enjoyed warm, right out of the oven. You can refrigerate whatever is not devoured right away. 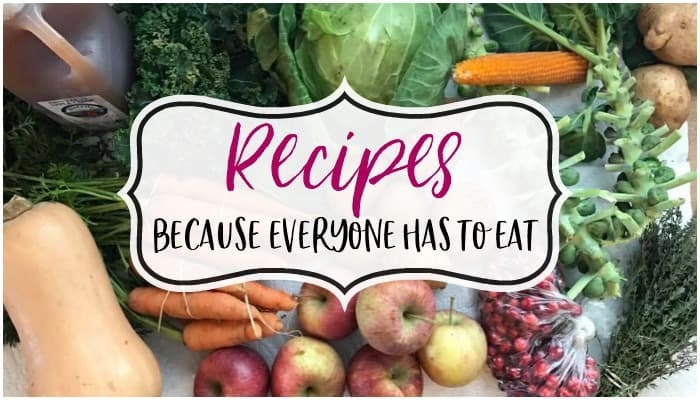 If you are intending to freeze them wait until they have fully cooled and then you can place them in a freezer safe bag or container in the freezer. Don’t forget to mark the contents and the date! Reheat in the microwave for the oven fresh taste. 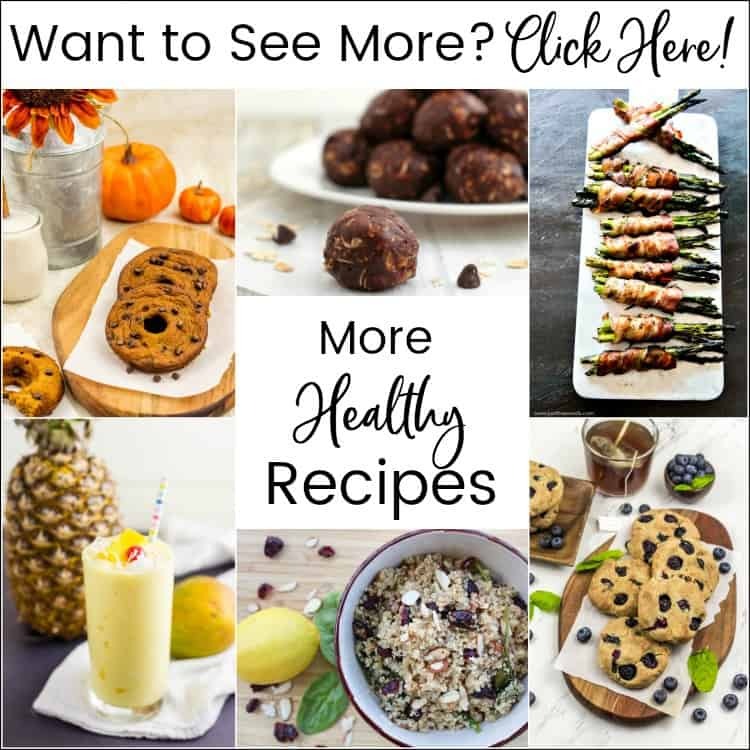 This muffin recipe makes 8 healthy and gluten-free muffins. Preheat the oven to 350F. Liberally grease a muffin pan with nonstick spray. Toss the cubed apples with a ½ teaspoon of cinnamon and keep aside. Mash the bananas into a smooth pulp. 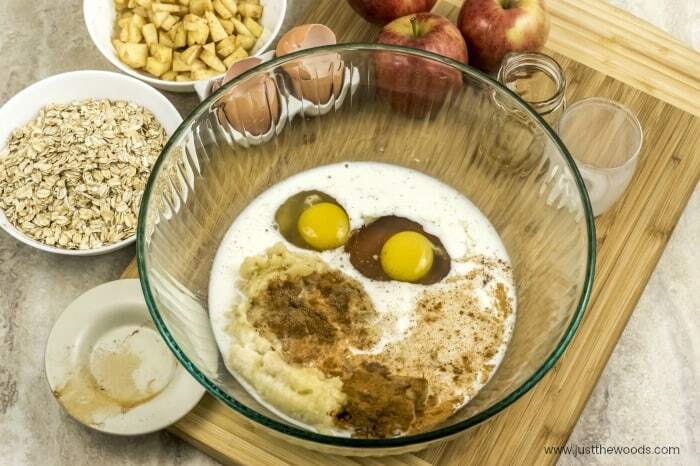 In a large bowl combine the mashed bananas, eggs, milk, and maple syrup, cinnamon, and nutmeg. Whisk well into a smooth batter. 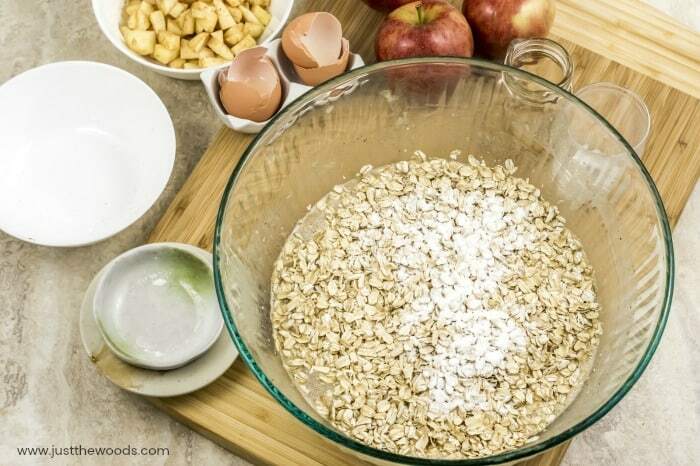 Add the oats and baking powder. Gently mix it all together. Let the batter sit for 5 minutes. This will allow the oats to soak up the liquid. 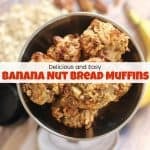 Pour appx 2 tablespoons of batter into each muffin pan. 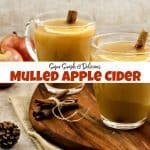 Top with 1 teaspoon of cinnamon coated apples. 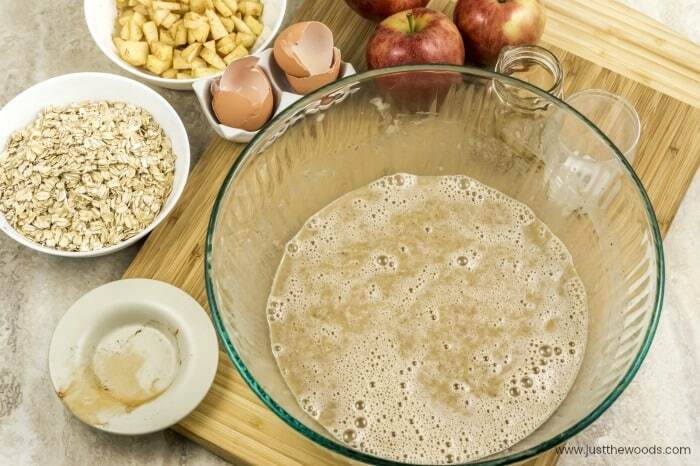 Add another 2 tablespoons of muffin batter on top of the apples. Sprinkle another teaspoon of apples on top. Let muffins cool in the pan for 10 minutes. Gently remove the muffins from the pan and let cool completely on a wire rack. These are best enjoyed warm, right out of the oven. Refrigerate or freeze the leftovers. 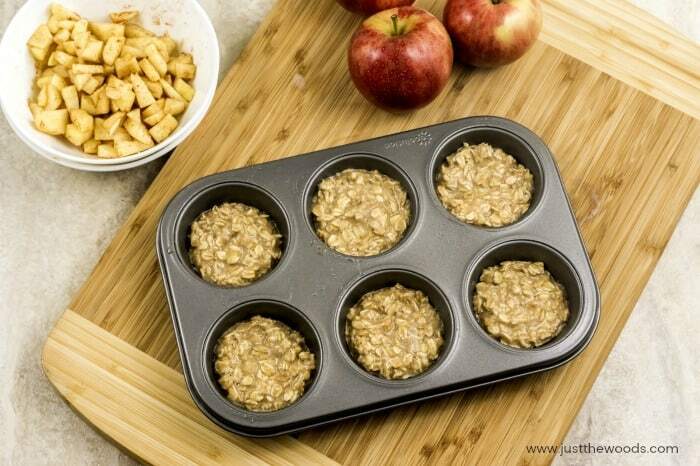 Reheat the muffins in the microwave for the oven fresh taste.